The Lord rejected Saul because his heart was closed, he hadn't obeyed, and he decided to choose another king. God's choice of the boy David was far from human standards, but the Lord made it clear to Samuel that he looks beyond appearances into the heart. We're often slaves of appearances and pursue them, but God knows the truth. To people's eyes David didn't count, but the Lord chose him, the Spirit of the Lord rushed upon him, and David's life was anointed by the Lord. Did the Lord make him a saint? No; King David is saint King David, but he became a saint after living a long life during which he sinned. Saint and sinner, he united the Kingdom and led Israel but fell into temptation; he committed sins including murder to cover up his adultery. When God sent Nathan to point it out to him, he acknowledged his sin and asked for forgiveness. 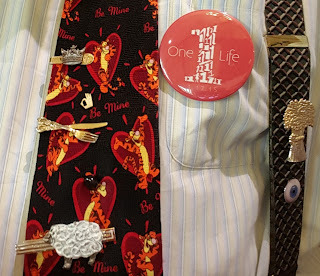 His life went on. He suffered personally following his son's betrayal but never used God for his own purpose. When he was forced to flee from Jerusalem, he sent back the ark and said he wouldn't use the Lord in his defense. When he was insulted, he said to himself, “I deserve it.” He was magnanimous. He could have killed Saul but didn't. Saint King David, a great sinner but a repentant one. His life moves me and makes me think of my own. The Lord has chosen and consecrated us all to be part of his people, to be saints. Reading about this boy's life, from boyhood to old age, during which he did good and not-so-good things, makes me think that during the Christian journey, there's no saint without a past and no sinner without a future. 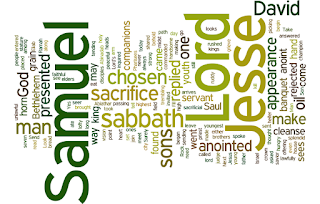 1 Sm 16:1-13 God sent Samuel to Jesse, one of whose his sons he'd chosen as king. 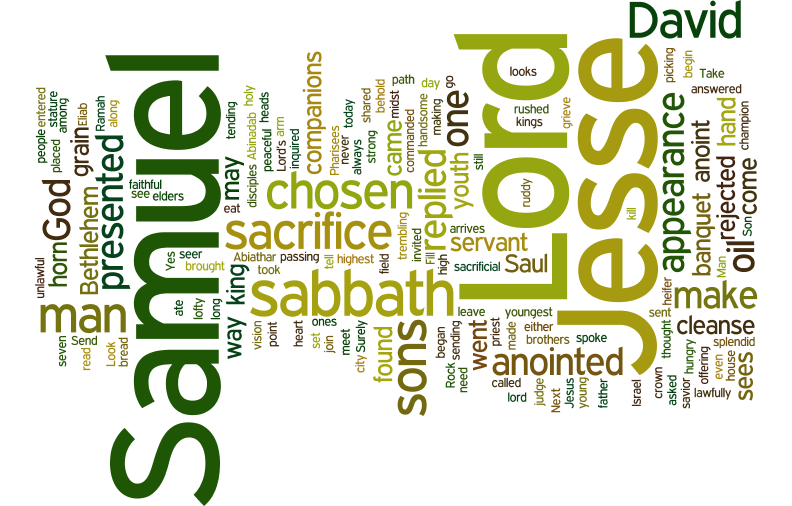 Samuel invited Jesse and his sons to the sacrifice. He saw Eliab and thought, “He must be the one,” but God said, “Don't judge from appearance; I've rejected him.” Other sons followed, but Samuel told Jesse, “The Lord has not chosen any of them. Do you have any others?” “There is the youngest.” “Send for him.” Jesse had the young man brought to them. Handsome, he made a splendid appearance. The Lord said, “Anoint him!” Samuel anointed David, on whom the Spirit of the Lord rushed. Passionist: Samuel didn’t want to admit that Saul, the king he'd anointed, needed to be replaced. But God told him, "I've rejected him as king. How long will you grieve for him? Be on your way.” We want to cling to our past, with things that don't please God. But God doesn't see as we do! God’s will is more loving, merciful, generous, and grace-filled than mine. Acknowledging I'm powerless before God is the first step to receiving grace to overcome our mess. May the Father enlighten us, that we may know the hope that belongs to our call. DailyScripture.net: "The Son of man is Lord of the Sabbath": The religious leaders confronted Jesus on the meaning of the Sabbath, a day set apart to praise God and his good works, where everyday work stops to provide needed rest. They scolded his disciples for plucking and eating corn on the Sabbath. Jesus defended them, arguing that human need has precedence over ritual. Withholding kindness in response to human need was not part of God’s intention that we rest from unnecessary labor. How do I honor the Lord in my treatment of others and celebration of the Lord's Day? Wulstan, monk made bishop, known as confessor, cared for poor and sick, demanded high standards. 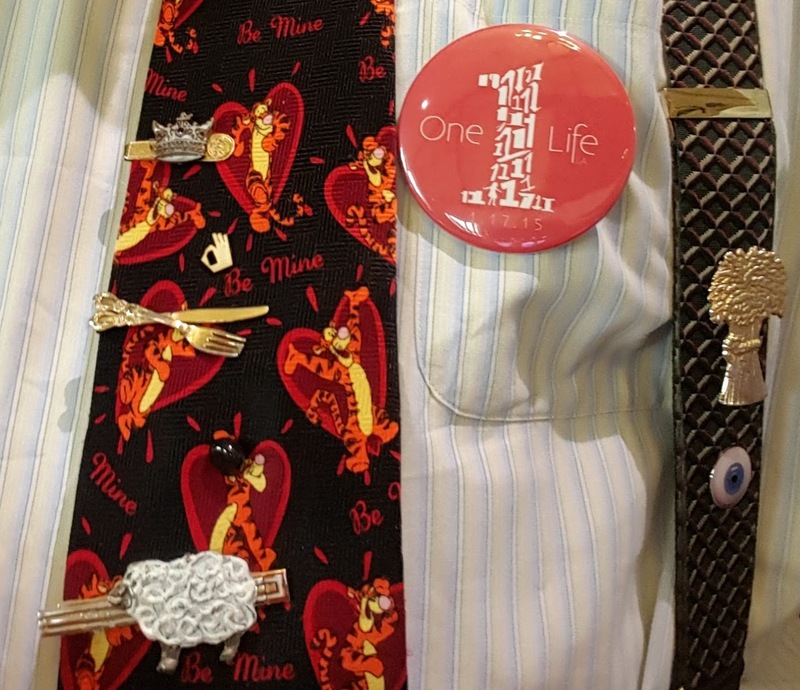 'OneLife LA' button: this Saturday!